Includes:1x Clear Iphone X Screen Protector,1x Iphone X Anti-Blue Light Screen Protector, 2x Wet Wipes,Cleaning Cloth,Dust Removal Stickers,1 x Cellphone Fixture,1x Installation instructions,WORRY-FREE WARRANTY with 180 days after sales service. 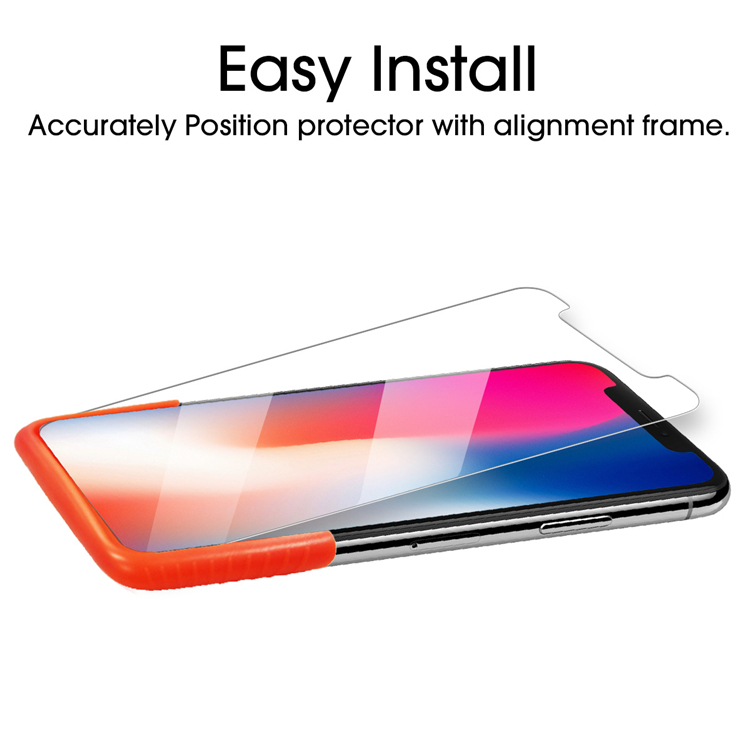 Easy Installation: Super easy and Fast installation with Cellphone Fixture. 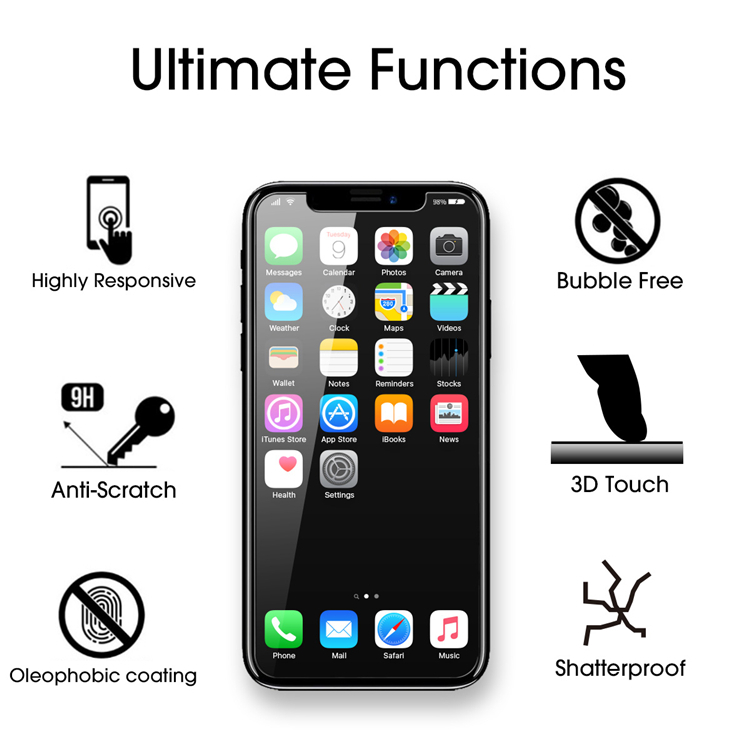 Automatically attaches to the screen without annoyed bubbles through perfectly align your screen protector. 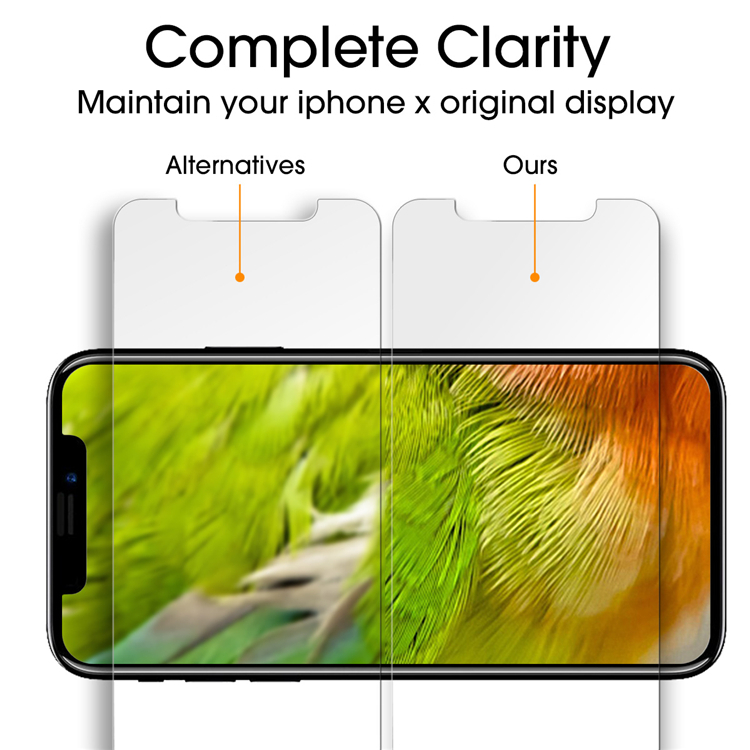 Complete Clarity: Ultra-high transparency, 0.3mm thickness and oleophobic coating maitain your Screen original visual experience and high touch sensitivity. 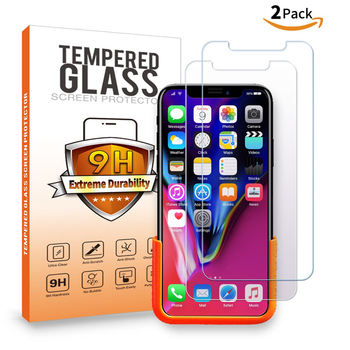 •1x High Clear Tempered Glass Screen Protector. 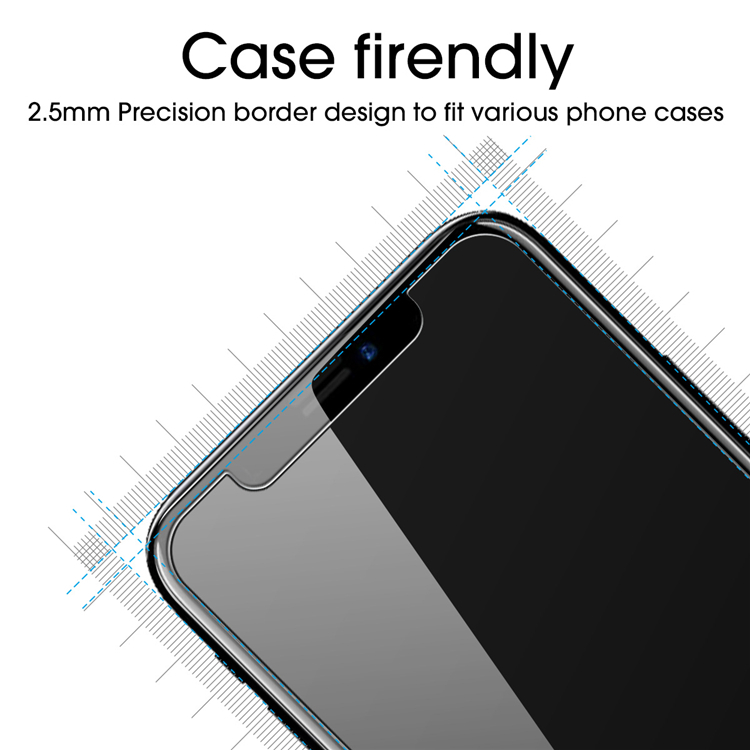 •1x Anti-Blue Light Tempered Glass Screen Protector.